Dear Friends: We are currently updating our website and are not taking any NEW orders at this time. We will begin taking new orders again just as soon as we update our website software. In the meantime feel free to contact us using our contact form if you have questions about previously placed orders. Thank You!!! 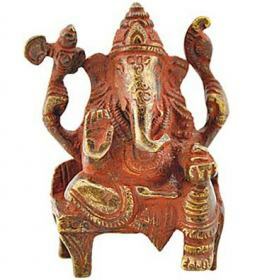 Sorry, we are currently sold out of 'Baby Ganesh Crawling Statue'. Please click the Wait List link below and you will be notified when it is back in stock. 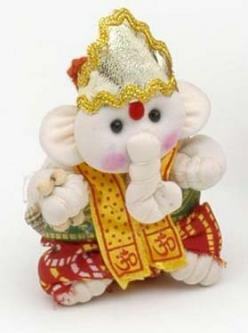 This is an adorable Crawling Baby Ganesh Statue which depicts the Hindu God of success as a baby. 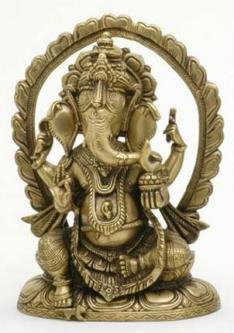 These Ganesh statues are made in India from Brass, and Baby Ganesh is considered to be the son of Lord Shiva and the Goddess Parvati. Baby Ganesh is fond of sweets, so you see a stack of Indian desserts in his right hand, since it is common during a Ganesh Pooja to offer him candies and cakes. Copyright © 2019 The Buddha Garden. | Ecommerce Shopping Cart Software by Miva, Inc.